Please visit us at the 2016 Trade show in Philadelphia! We invite you to stop by our booth #4239 for a demonstration. Please visit us at the 2015 Trade show in Indianapolis! We invite you to stop by our booth #962 for a demonstration. Ionic is proud to announce the release of our mobile application. Available for iPhone, Android, and Windows phone and tablet users. Our innovative application will give you access to vital information about your cases and operations from anywhere! View your At Need and Pre Need Case Data. See your calendar and tasks. Review documents in your electronic file cabinet. Take payments. Contact us for more details. Ionic is pleased to announce the addition of credit card processing in Abacus. and immediately update the AR balance for the family. Please contact Ionic for more information. Ionic is pleased to announce the release of a new set of features for WebChecks. Clients can now make use of a new check screen and revised check entry and automation for entering checks. The system has become more intutive and remembers previous entries and settings to make check entry easier than ever. Additionally, new automation features will save time and effort for you. Please contact Ionic for more information. Please visit us at the 2014 Trade show in Nashville! We invite you to stop by our booth #2004 for a demonstration. 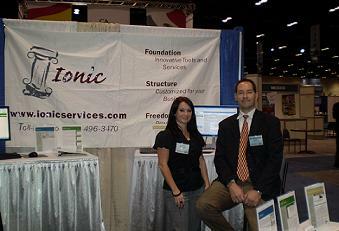 Ionic and Federated Funeral Directors of America announce the renewal of their 5 year exclusive licensing agreement. funeral home and cemetery owners and managers all across the country. Please contact Ionic or Federated for more information. Ionic is pleased to announce the addition of the Cemetery Module in Abacus. Clients can now create and manage cemetery property as a separate business or as part of their combination operations. run your cemetery operation in the same software system you use for your funeral home and/or crematory. Please contact Ionic for more information. Ionic is pleased to announce the addition of the Crematory Module in Abacus. Clients can now manage their crematory operations more efficiently within Abacus, the same system they use for their Funeral Home operations. track information about the family, cremains, disposition, authorizations, as well as the financial details of each transaction. Custom reports and forms included. Please contact Ionic for more information. PASS Module brings new opportunities for families and directors. Ionic is pleased to announce the release of the PASS Module. Pre Arrangement Self Service. and mechandise selection options, choose items, and even pay online via credit card. All from the comfort of home where their records are located. This allows the funeral director to focus his time with the family on serving them, instead of gathering data. Please contact Ionic for more information. Please visit us at the 2013 Trade show in Austin! We invite you to stop by our booth for a demonstration. Please visit us at the 2012 Trade show in Charlotte! 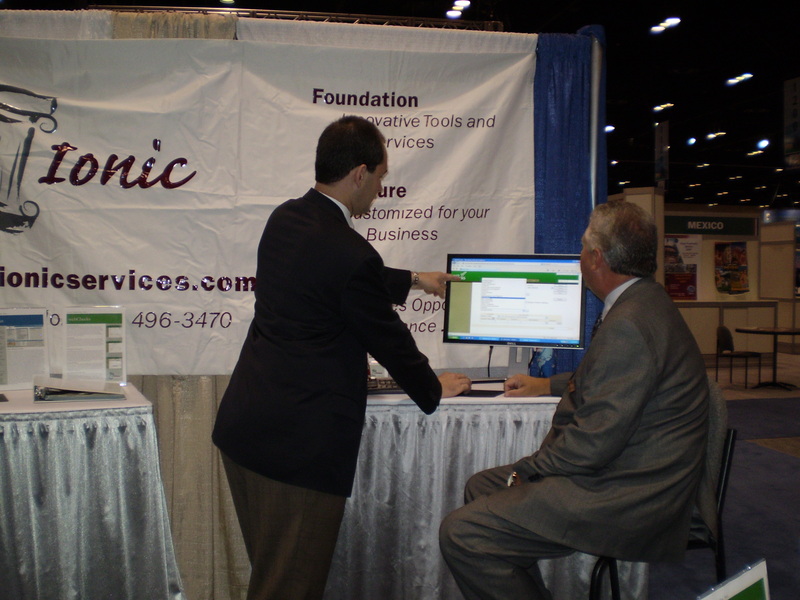 Please visit us at the 2011 Trade show in Chicago! We invite you to stop by our booth #1260 for a demonstration. 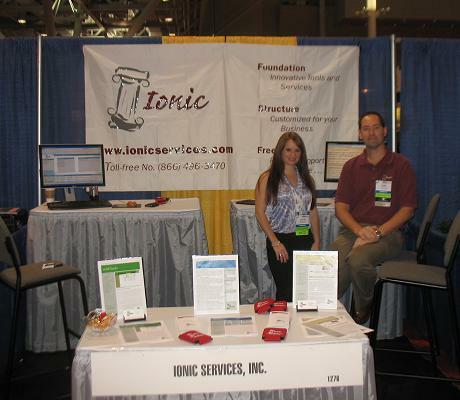 Please visit us at the 2010 Trade show in New Orleans! We invite you to stop by our booth # 928 for a demonstration. 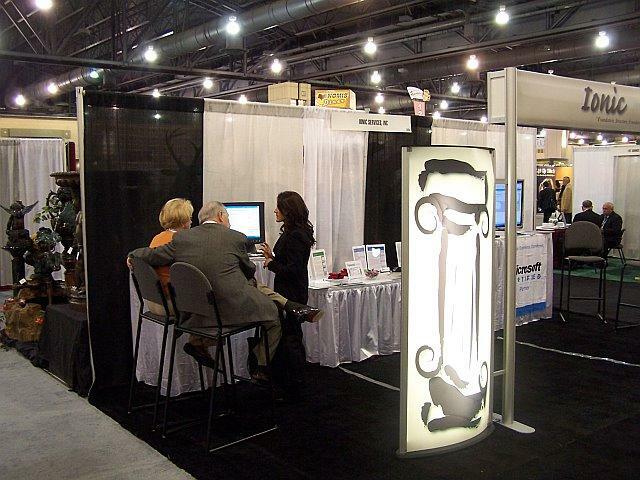 Please visit us at the 2009 Trade show in historic Boston! We invite you to stop by our booth # 1276 for a demonstration. 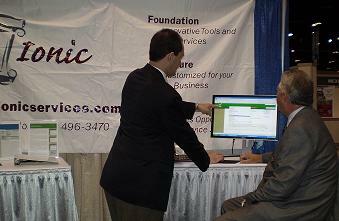 Thanks for visiting us at the 2009 Trade show! Clicking the image will open the full sized picture. 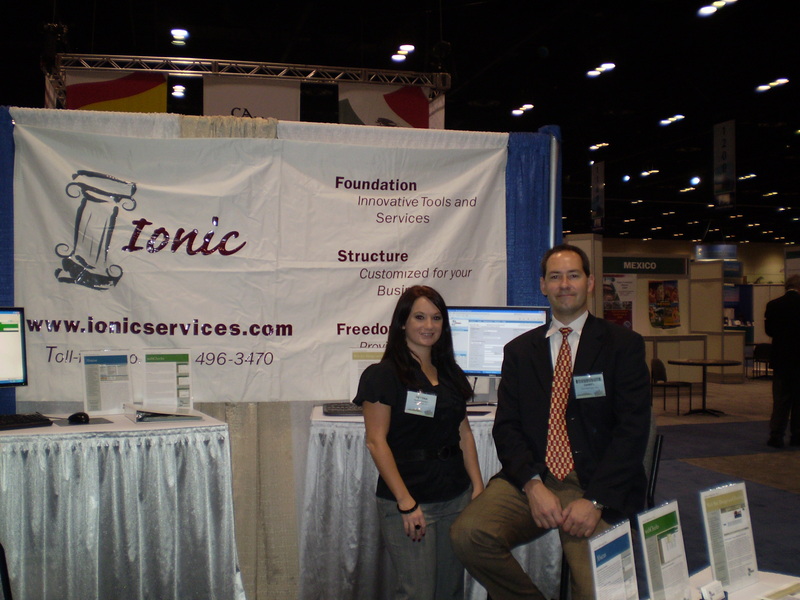 Please visit us at the 2008 Trade show in sunny Orlando Florida! We invite you to stop by our booth (Booth # 1512) for a demonstration. 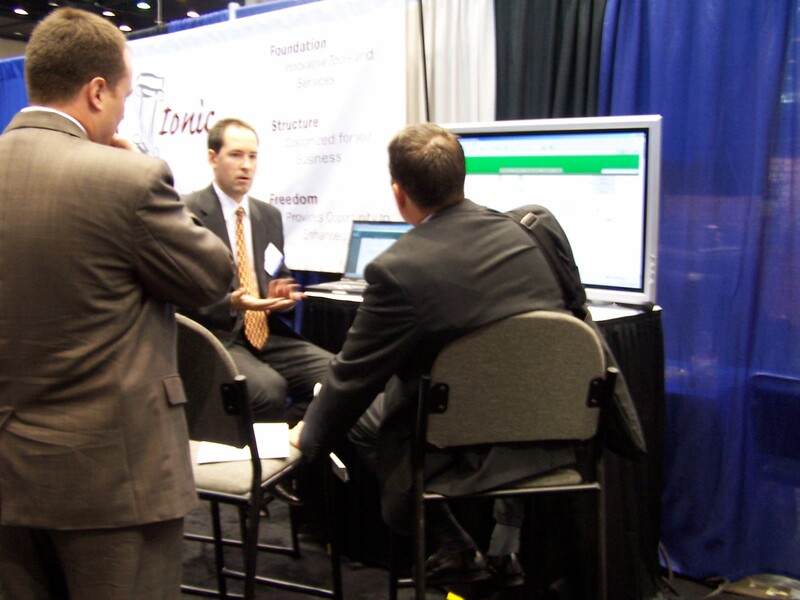 Thanks for visiting us at the 2008 Trade show! 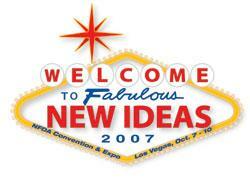 Please visit us at the 2007 Trade show in fabulous Las Vegas! We invite you to stop by our booth (Booth # 1111) for a demonstration. 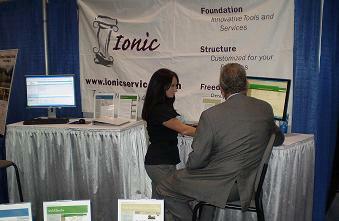 Ionic recently participated in the NFDA Expo in Chicago. Thank you to all attendees who stopped by the booth. If you missed us at the show please call 866-496-3470 for more information. The Expo was a huge success, we conducted product demonstrations, met with current customers as well as added new customers! Ionic and Federated Funeral Directors of America announce the signing of a 5 year exclusive licensing agreement. funeral home and cemetery owners and managers. Please contact Ionic or Federated for more information. Congratulations to Todd Bonzo of Metcalf Mortuary, St. George, UT for winning the 17" flat panel monitor that we were giving away. Congratulations to Bill Smith of John H. Joyce, Inc., New York, NY for winning the BestBuy gift card that we were giving away. Congratulations to John Marshall of A.D. POrter & Sons, Louisville, KY on winning the 17" flat panel monitor that we were giving away.